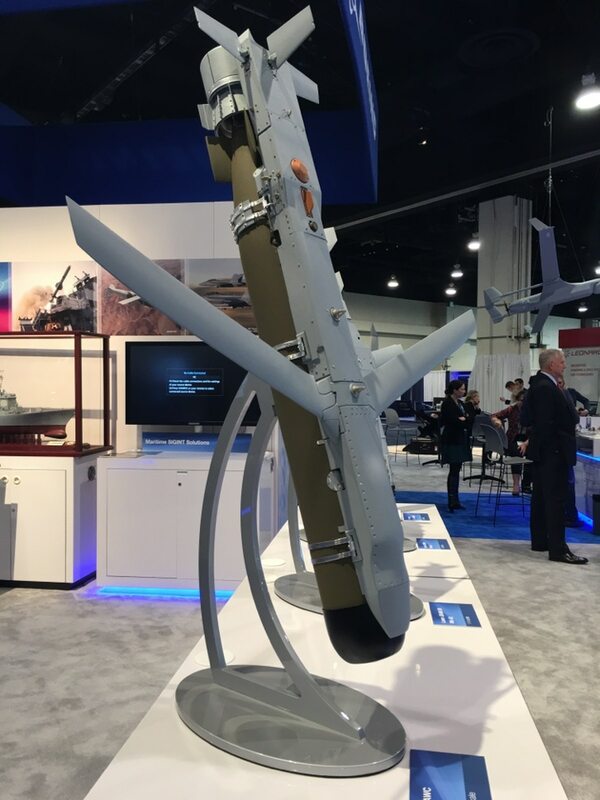 WASHINGTON — Boeing showed off its newest sub-killing torpedo this week at the annual Sea-Air-Space conference, a flying torpedo that will enable the Navy's P-8 Poseidon to hunt enemy submarines from great heights. The HAAWC, which stands for High Altitude Anti-Submarine Warfare Weapon Capability, is an add-on kit for the Navy’s Mark 54 lightweight torpedo that gives the weapon the ability to glide through the air from high above the clouds. Boeing is aiming to have the technology on the Navy’s submarine-hunting P-8 in 2017, according to company representatives. The HAAWC kit turns the torpedo into a miniature jet, complete with wings, a tail and a GPS-guided navigation system. Once it nears the water, the kit peels right off and the system activates a parachute that lowers the weapon to the water. Then the The engine then starts and the torpedo begins its run toward its the target. The major advantage the HAAWC brings is enabling the P-8 to track and kill enemy submarines from high altitudes — as high as 30,000 feet, according to some reports — and for long far distances, according to Boeing's Jeffrey Jones. This capability is in high demand as China, Russia and North Korea advance their nuclear submarine programs.